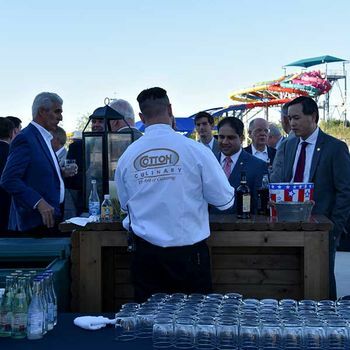 Whether it’s a business seminar, holiday party, awards gala, or company picnic, Cotton Culinary offers a range of catering services to make your corporate or private event a success. 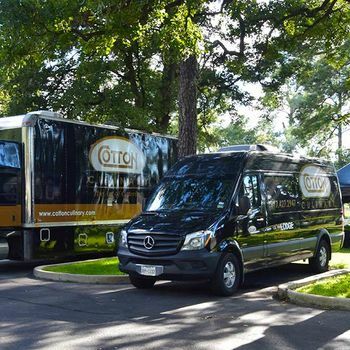 And, with a large fleet of mobile kitchens and assets, Cotton Culinary can cook onsite, offering freshly prepared meals for a group of any size. We don’t just bring the food to you, we bring the kitchen too! Cotton Culinary understands that your event demands key ingredients as well as precise coordination from start to finish. Committed to your mission, our corporate catering director and team of trained and enthusiastic culinary staff will exceed your expectations with creative planning, innovative cuisine, artful presentation and an unmatched level of customer service. Taking into consideration your budget, venue, goals and vision, our executive culinary chef will expertly craft a unique menu to satisfy any audience from 50 to 10,000. 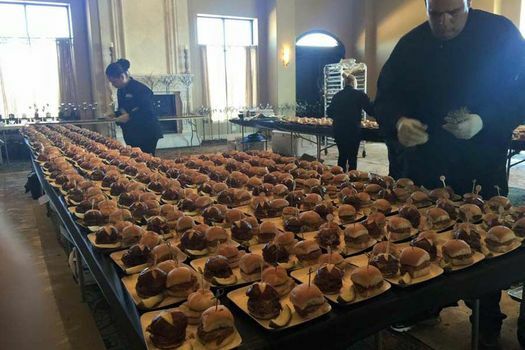 From gourmet boxed lunches to black-tie seated dinners, Cotton Culinary provides professional and memorable catering services for all occasions. Detail oriented and budget conscious, Cotton Culinary can curate a superb and professional corporate event. Impress your employees, associates, or clients with a customized menu and service that will leave an everlasting impression. 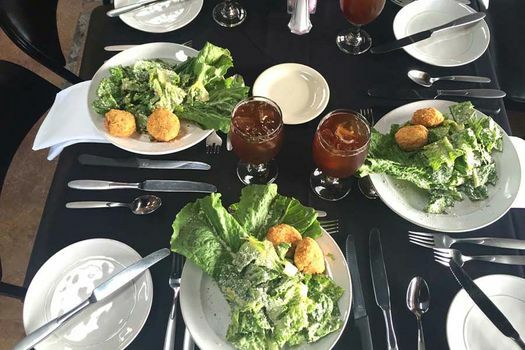 Whether it's a small meeting of five or an entire department lunch of 100 or more, our staff will deliver the impeccable service your company deserves. Create memorable moments and let our expert culinary staff cater to your specific needs. 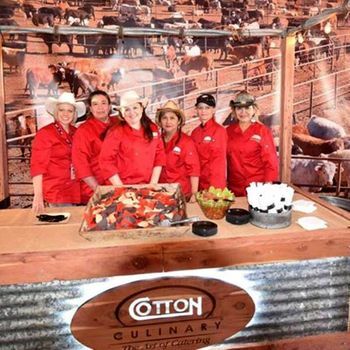 Whether it’s a holiday party or uniquely themed event, Cotton Culinary will customize all aspects of our menu and staff to fit the occasion. Cotton Culinary will work closely with you and your team to ensure that your event will be coordinated perfectly from start to finish. Our attention to detail is second to none, and creating the most comfortable and fitting atmosphere is our goal. Let us take care of everything so you and your team can enjoy the festivities. Banquets and fundraisers can take a lot of time, planning, and coordination. We understand the level of meticulous detail behind executing a large event. Cotton Culinary can personalize and execute all your catering needs with the precision you require. Our highly-trained staff of culinary experts will help analyze your budget and expectations to create a custom dining experience. From lite fare & hors-d’oeuvres to a full dining experience, Cotton Culinary can handle it all. We understand the importance of business training courses and the priority of creating a comfortable learning and focused environment. Our staff is trained to deliver a personalized non-distracting service. We customize our menus in efforts to keep your employees well satisfied, yet focused on the material at hand. If a full-service lunch is not what you’re looking for, Cotton Culinary also provides professional delivery of the finest foods. Our impressive fleet of mobile kitchen units, transportation vehicles and cooking equipment allow versatility for your catering event. All of our kitchen trucks and trailers are stacked top to bottom with state-of-the-art commercial cooking equipment, and are self-contained so few, if any, additional resources are required for food to be prepared onsite.